It’s review time again! 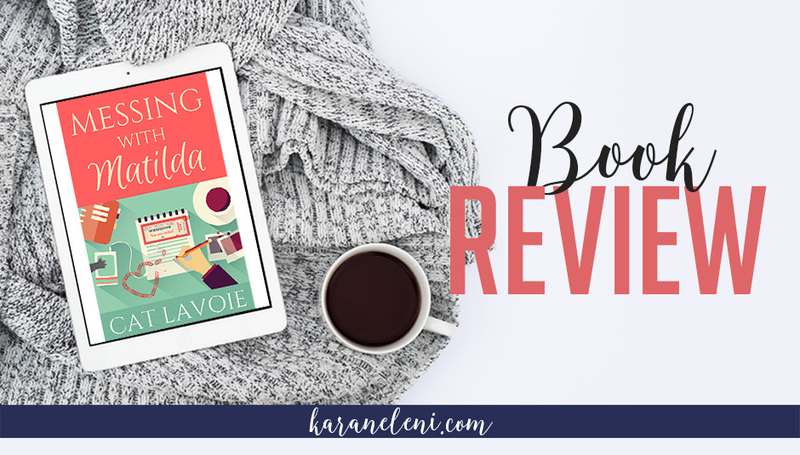 I had the pleasure of proofreading Cat Lavoie’s new Chick Lit/Romantic Comedy novel (though that doesn’t affect my review) and absolutely loved it! From her obsession with The Container Store to wanting to avoid her high school nemesis years after graduation, Matilda is relatable in so many ways. I loved going along on her trek back her to hometown, meeting new and old friends, being a fly on the wall as she met her new sibling (nope, not a baby! ), and watching Matilda adapt as her life deviated from the plan she had for herself. My only complaint (is this really a complaint?!) is that the story ended. I’ll definitely be ordering this one for my bookshelf and to read again! Cat, please write a “what happens next” scene, bonus chapter, exclusive, whatever!! Cat Lavoie is a chick lit writer from Montreal, Canada. She loves writing fun and quirky romantic comedies and is the author of BREAKING THE RULES, ZOEY & THE MOMENT OF ZEN, PERI IN PROGRESS and MESSING WITH MATILDA. If she isn’t reading or writing, Cat enjoys listening to podcasts (mostly comedy and true crime) and watching way too much TV. She fell in love with London many years ago and hopes to go back one day. Cat is currently at work on her next novel. To connect with Cat and find out more about her books, visit CatLavoie.com and follow @CatLavoieBooks on Twitter, Facebook, and Instagram.